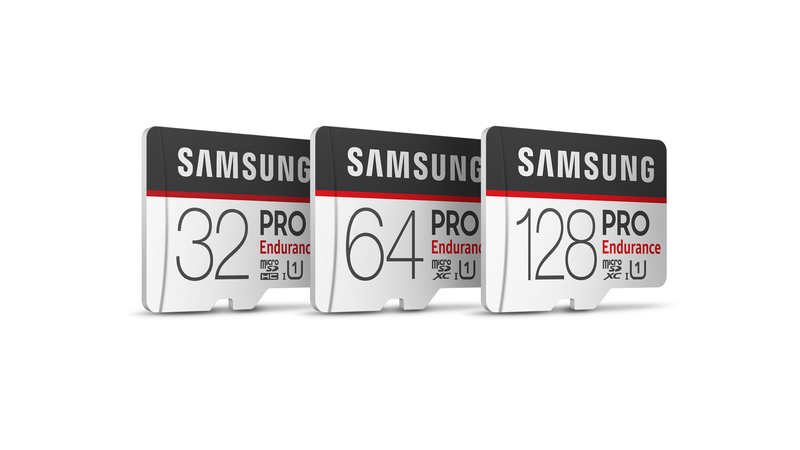 Samsung Electronics has unveiled a new line of microSDHC/SDXC cards called PRO Endurance. The lineup features 32GB ($30), 64GB ($50), and 128GB ($100) options, each with up to 100MB/s read speeds and 30MB/s write speeds. The South Korean company says the new lineup features “industry-leading endurance” capable of handling up to 43,800 hours of continuous video recording. Samsung created the PRO Endurance line for video-centric applications, such as security, dash, and body cameras, though they can also be used with drones and other video camera products. In addition to its recording endurance, the PRO Endurance cards are water, temperature, x-ray, and magnetic-proof. Overall, Samsung explains this lineup has 25 times the endurance of its past speed-focused cards. The PRO Endurance microSDHC/SDXC cards are available from Samsung now.